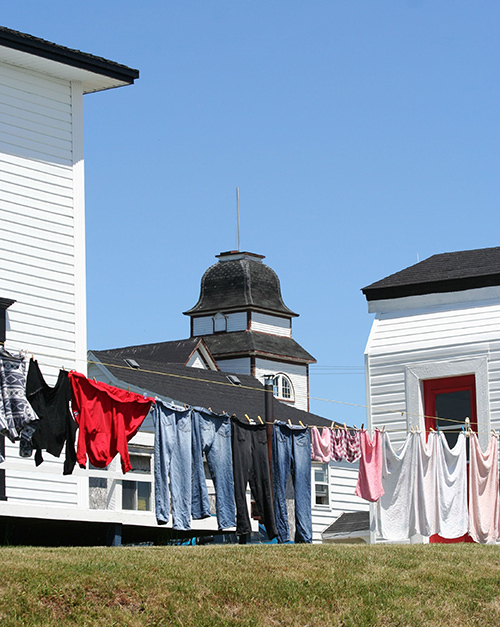 Sitting on a pretty hilltop on the Bonavista Peninsula of Newfoundland, there’s a little bed-and-breakfast in the quiet, seaside village of Trinity. 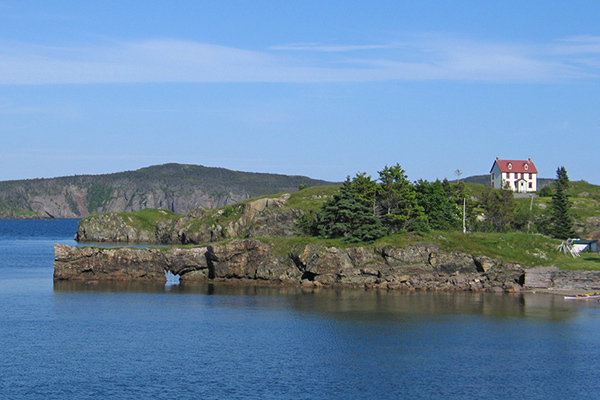 I stayed there one night, in the summer of 2007, surrounded by meadows and the Atlantic Ocean. The room I occupied had polished-wood floors, a down comforter on the bed, and a small desk in front of a window that faced the cliffs on the opposite side of the bay. At night, with the window open, I could hear the sea and feel the breezy air. In my mind, I’ve lived in that house all my life. The Trinity locals know generations of my family and me by sight. When I ride my bike to the fresh market every other day, they greet me by name. They’ve read my many books of romance fiction, all set on this eastern coast of Canada. I hang my just-washed laundry out on a line to dry, and I drink my morning coffee while sitting on my front porch steps. But I’ve also lived my whole life in Scotland. I’ve lived it in Patagonia and in the Arctic. Because when I travel, I find that I can easily re-imagine things, especially me. One of the best things about embarking on an adventure to a different land is that you physically take yourself away from your normal landscape and routine. You can shed your familiar skin for a while; and with new companions, you can pretend to be anything you want to be. Your creativity gets a kick start; and you begin to wonder, who would I be if I lived there? I’ve never written a romance novel or biked to an open-air market. My closest fresh-food venue is several miles away, and I’d probably get run over by a speeding car if I tried to peddle the main thoroughfare to its downtown location. But in my alternate life in Newfoundland, I do that several times a week. Lately, there have been several news articles written about people who are unable to unplug from their e-mail, Facebook, and Twitter accounts while on vacation. These are the people who cannot let go of their “other” lives when they’re on the go. Author Ted Kerasote wrote a book, titled Out There: In the Wild in a Wired Age, about his experience of going on a canoe trip to the uninhabited, far northwestern corner of Canada with a friend who brings along a satellite phone to use in case of an emergency. Unfortunately, instead Kerasote’s buddy uses the phone to check in with his law office, wife, kids, sisters, father, and friends. While I heartily agree that we should leave all the contraptions of connection behind when we travel, I would suggest that we take unplugging one step further: not only should we turn off the electronics, but we should consider unplugging from our everyday selves. In that way, we’re not only transporting our bodies to a new place, but setting our imaginations free. Once in Scotland, I fancied myself the resident keeper of an ancient broch. During the day, I gave the tourists who dared to stop on my windswept, rocky island in the North Atlantic a tour of the stone tower. But when night fell, I lighted my candle, climbed the narrow steps to the top, and slept under the stars on its cool, well-worn floor. I lived most of my days there all alone, with only the waves and the birds as neighbors. It was a simple and serene life. 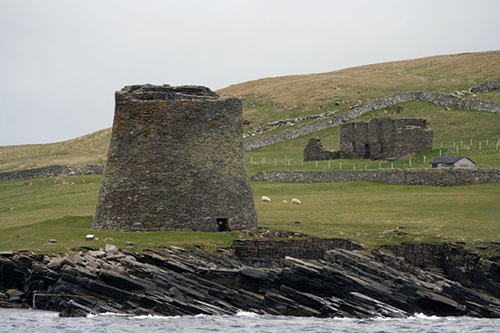 Of course, if I truly picked up and moved from my home in the Midwestern United States to become a broch-keeper in Scotland or a romance book writer in Newfoundland, I would probably find that those lives have their own sets of concerns and problems. Healthcare, for instance, might be a little spotty on my Scottish Isle, my teeth would probably fall out from lack of regular dental visits, and the hardship of getting groceries might be overwhelming. So while it’s probably foolish to think that our lives would be drastically improved if we lived somewhere else, adventures can help you safely explore the you you didn’t become. I think a good trip should promote a bit of fantasizing or at least change who you are and how you function if only for a few days. I know my visit to Mexico made me appreciate road maintenance more. One of the major delights of travel for me has always been the chance to ignore communication with the rest of the world, freeing me to fully enjoy the experience and my companions, and yes, to fantasize. I’ve imagined everything from being a Chinese empress to a Mayan princess to my all time favorite, Daniella Boone. I’m re-imagining my life in France this week. I found myself idealizing metropolitan life after college. Now, I just want clean air.